After 41 years, Thomas Swain and recently wedded wife are moving – moving from one of the more historic sites in Murfreesboro to a farm on the Bedford County side of Beech Grove. The home they leave is steeped in rich history and ownerships by names like Hill, Haynes and Mattox – among the more illustrious of these was ‘the Widow James’, a Confederate mother who lost her son in the Civil War and for whom the structure became known as the James House. 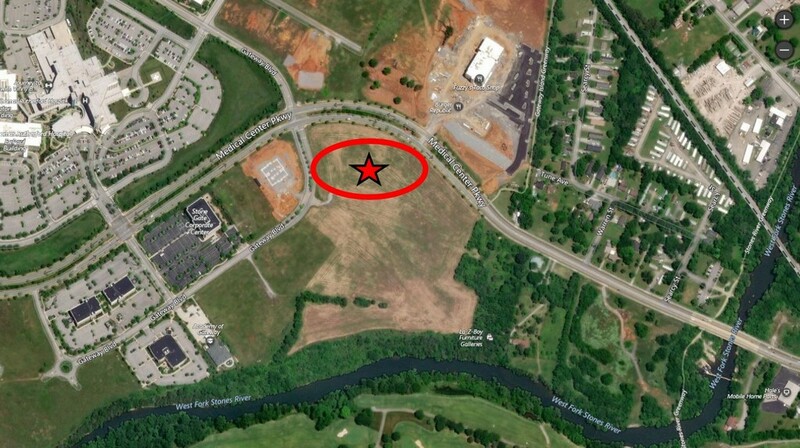 The home is located just outside the commercial district on Manson Pike, east of Thompson Lane, on part of the 400 acres currently being considered for the city’s proposed commerce center and office park. 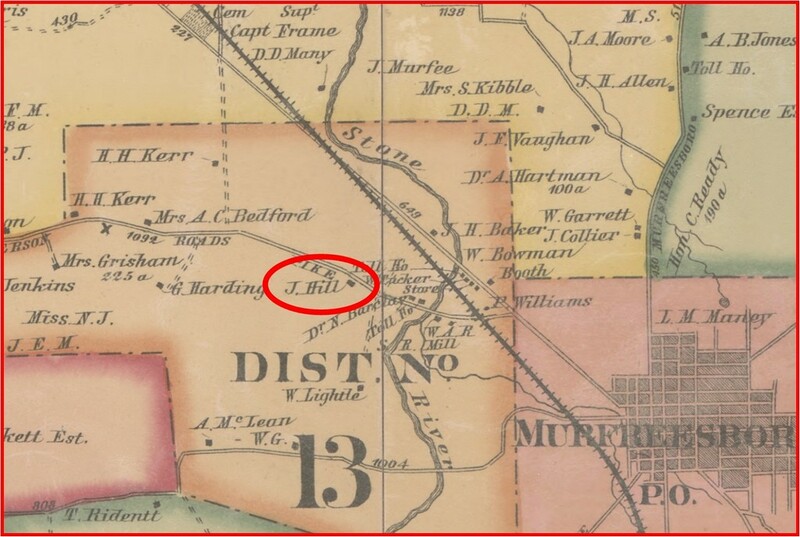 The Beers Map of 1878 showing the J. Hill house. John Willig is vice president of Carter & Associates, the development company overseeing the commerce center project. Satellite map showing the former location of the Widow James – Swain House. Though it’s still too early for specific plans, Willig said, preserving the rich history that has been important to the development of Murfreesboro Rutherford County will be important part of the process. Specifics about the home’s history are sketchy, past owner Swain said, but he’s uncovered some details from legends, fold tales and old stories. The city has granted him two years for relocation. “I really know very little,” Swain said modestly. 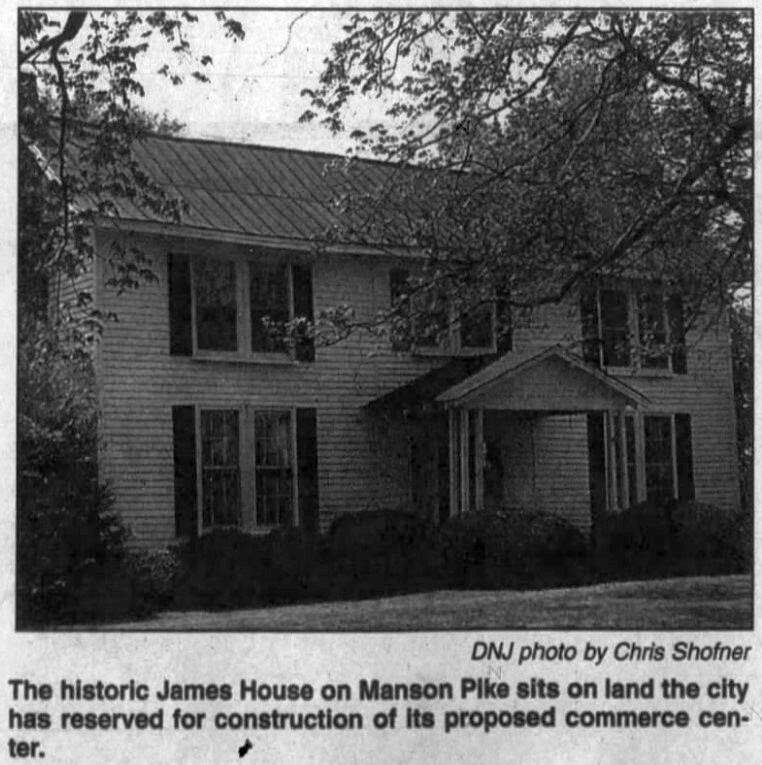 To have such a rich history, the James House has had surprisingly few owners, Swain said, but a break in the record prevented specifics. Swain knows of two versions. “I’ve heard two schools of thought on it,” Swain said. “We do know there was a structure here during the Civil War. Someone, I think it was an amateur historian, told me that the original building burned after the War and another was built in its place. The original part of the house, the front two-story section, was a log structure like many from the period and had a dogtrot or middle breezeway separating halves of the building. Subsequent renovations, specifically but the Haynes family, applied weatherboard to the outside over the logs and still later remodeling enclosed the breezeway to bring the structure indoors. “When the Haynes bought it in the middle ’20’s,” he said, ‘They brought it on back some. They covered up the logs, put in hardwood floors and did over renovations … they spent so much money on it, and then the depression came along, they lost it in the early 30’s. “The Mattox family bought it in the early ’30s,” he added, “then we bought it from the Mattox family in 1958. We’ve done quite a bit of restoration to it – we added this den and the upstairs was not finished … old rough board ceilings without paper. Swain said what little history he has been able to pick up comes from a title search he began in recent years but stopped when the holes in the record thwarted his efforts. “I got really interested in tracing the history one year,” Swain said, “so I went to the Courthouse and traced the owners back but got back in the late 1800s and some of the tax books had records missing … just gave me a blank. I couldn’t go any further because of that. They don’t appear to have been a lot of owners in that time. If the home is on the National Register of Historic Places it’s news to him, Swain said. Possibly the structure is on another type of historical list. The owner said, to his knowledge, farmland that accompanies the house has always been approximately the same size. Swain had always been interest in farming, he said, and had grown up on the family farm down the road in what was then rural Rutherford County. when a neighboring farm was put up for sale in 1958, he and his wife Frances bought it. Farming has always been an important part of Swain’s life, he said. “I was born and raised on the next place out on the right,” he pointed out. “Farming is in my blood and whenever I married, this farm became available and I was able to buy it. I farmed all the years I was working at the VA … just a small operation … mainly beef cattle. i always wanted to farm and it was nice being here close to the homeplace too,” he continued. Swain is now retired from the Veterans Administration as a vocational rehabilitation therapist, he said. He also spent six years on the Rutherford County Board of Education during the late ’80’s.